Grinderman is the first great band of the Anthropocene Epoch. Their music is wild, primal, charming and funky and their lyrics are witty and clear-eyed observations of where we stand as a civilization at this moment in geologic time. In advance of the second Grinderman album Grinderman 2, to be released on Sept. 13, there are film trailers, and the artwork for the first single, “Heathen Child,” that are positioning devices that set in place a context for the album. In one trailer, directed by John Hillcoat, a wolf prowls through an ornate bathroom with gold fixtures. It could be the abandoned palace of a deposed dictator, one of the uber-grand massive buildings that will never be finished now in Dubai, or a mansion that was abandoned by tenants who lost everything in the global financial crisis. There are brief flashes of torn flesh and gushing blood that are like something remembered, something buried deep in the mind that flashes back into consciousness. The Heathen Child looks like a future primitive human, from a time when the grace and refinement and spiritual order of our civilization might have broken down. Grinderman – Heathen Child by MuteRecords “Heathen Child” by GrindermanIn the twenty-first century, the Bad Seeds albums have drawn from the myths that guided humans as they were becoming settled, discovering how the world worked through science, building great cities, and altering the natural world with the development of agriculture and engineering irrigation systems. The Abattoir Blues/The Lyre of Orpheusalbums wondered about the power music has to move people. Is beautiful music a gift from the gods, held within the lyre of Orpheus, whose music moved inanimate objects, soothed savage beasts, and charmed the gatekeeper to the underworld? Or is it a pact struck with the devil on a deserted crossroads on a moonless night? The language of these albums is gospel, the music of the downtrodden who tell their pitiful stories but lift their voices and hearts to the heavens. At the end of the nineteenth century, a predatory mysticism exploited the incorporeal advances in science — the x-ray, recorded and projected sound, electricity — and created a fad for contacting the spirit world. 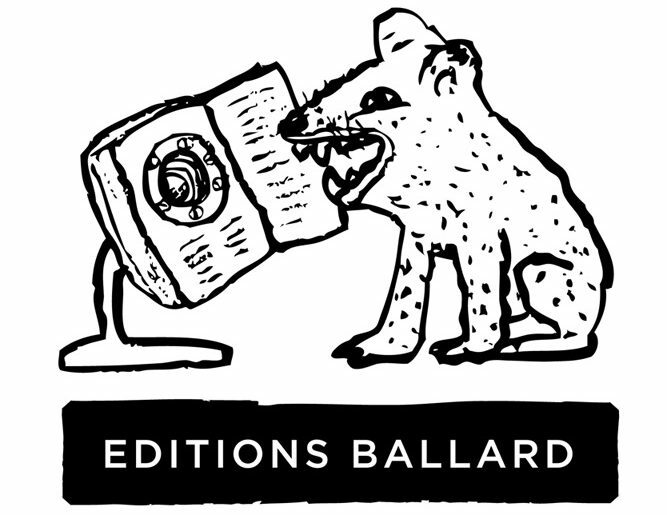 The recorded sound industry was pioneered by a company whose logo was an image of a dog sitting on a cofﬁn listening to a machine playing a recording of his dead master’s voice. At the turn of the twenty-first century, two robots, Spirit and Opportunity — reminiscent of Sony’s robot dog Aibo — were listening for the voices of the dead on Mars. On their website in early 2008, the Bad Seeds sat at a table in a Victorian drawing room, around an antique ouija board, and Nick, a medium in a jewelled turban, made a show of contacting the spirit world. In one session he conjured up an image of a skeleton on a sheet. In another session the table moved up into the air, seemingly of its own accord. The message the spirit world kept sending was the title of the album, DIG!!! LAZARUS, DIG!!! The crucial Bad Seeds album, the one that quite possibly sparked the formation of Grinderman, was Nocturama from 2003. A nocturama is a zoo environment where light and dark are artificially reversed so that nocturnal creatures will be active during zoo visiting hours. The title song wasn’t on the album, but it became available later on a collection of B-Sides and Rarities. The song “Nocturama” is a rough sketch of ideas that would be developed through other projects: perhaps the “silent tiger” is a metaphor for the loss of biodiversity, the “ailing ape” might be us, the “penguin face down in water” a reference to the effects of global warming, the “forgotten llserelaama” a pun on seeming impotence of resolutely nonviolent figures in the twentieth century. The movie The Proposition, which Nick wrote for John Hillcoat, presents the folly of the Industrial Revolution’s fervor for dominion over nature, with Captain Stanley determined to tame the brutal Australian environment and his wife tending a rose garden in a sere landscape, and a bounty hunter wonders about the ethical implications of the theory of evolution — if we’re descended from apes does it give us license to act like animals? 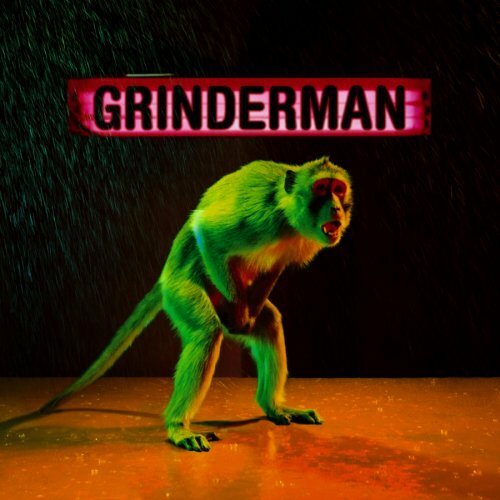 There was a monkey on the cover of the first Grinderman album. In John Hillcoat’s adapatation of Cormac McCarthy’s novel, The Road, which Nick and Warren Ellis wrote the music for, all color has been drained from life and only begins to return at the end of the movie, when the resolute goodness and compassion of the child triumphs. He is taken in by a family and the natural world begins to regenerate. In Nocturama, Nick expanded the allegory of artificially manipulating light and darkness to suggest we’d turned the whole world into a nocturama, literally and spiritually. The sucker punch realization of the Anthropocene Epoch is that at the moment that we comprehend how much impact we’ve had on the earth, we see how damaging this has been and that the damage may be irreversible. There’s no hope that things will get better. Nocturama is the simplest and sweetest and most heartwarming of the Bad Seeds albums. It addresses our fear of darkness and warns against being drawn towards false light, being guided instead by a personal sense of responsibility. Nick draws from the Gospel of Thomas, which quotes Jesus as saying: “There is light within a person of light and it lights up the whole universe. If he does not shine, he is darkness.” It’s a humane, quiet album in which love is celebrated and thrives because of the acknowledging of human flaws, dark secrets held in our hearts, and the mistakes we’ve made. It renders everyday situations with an ordinary beauty. “Bring It On” is a love song in which a man encourages a woman to tell him everything that would usually drive him away and it will only make him love her more. It’s a duet with Chris Bailey from the Saints, who has a powerful soul singer’s voice. Like all of Nick’s songs it has multiple perspectives: It could also be a dialogue between humankind and God, between a child and a parent, between friends, or enemies. The songs create and appreciate honesty, constancy and forgiveness. They promise, and deliver, unconditional love and loyalty. They catch fire in the heart, like the word of God catches fire in all of humanity on the album’s closing song, “Babe, I’m on Fire,” another reference to the Gospel of Thomas in which Jesus talks about the word of God being a fire within the hearts of humankind. In The Road, the boy also asks if people he encounters are carrying the fire. The first three songs of a Bad Seeds concert scroll out over the audience like a legend at the beginning of a film: Once upon a time in the land of… the people were weary from fighting a long war. These three songs are equivalent to the prologues that established the mythological context for the events in ancient Greek plays. A history of our time could be compiled from these Bad Seeds prologues. The Grinderman concerts in Sydney in 2007 had a different structure, something more like 2001: A Space Odyssey. Grinderman performed the songs from their first album. In the second set, the four Bad Seeds who make up Grinderman performed stripped down versions of Bad Seeds songs. And the concert ended with the Grinderman song “Go Tell The Women.” The Grinderman mythology seems to be drawn from the first act of 2001: A Space Odyssey some future primitive state where one creature sees beyond the struggles of existence and is curious and courageous enough to reach for the monolith. That is the arrogance of the kind of narrowness one too often sees; it is trapped in its own predictable prejudices, its own stale categories. It is the mind dulled to the poetry of existence. It’s fashionable now to demand some economic payoff from space, some reward to prove it was all worthwhile. Those who say this resemble the apelike creatures in 2001. They are fighting for food among themselves, while one separates himself from them and moves to the slab, motivated by awe. That is the point they are missing. He is the one who evolves into a human being: he is the one who understands the future. There have been budget cutbacks in the space program. We shrug it off. But that is where we live. It is not “out there.” And the great symbol remains, that remarkable view of earthrise. Earthrise is like all symbols. They resemble compasses. One point is in a fixed place but the other moves to the unknown. The fear of the unknown, this free fall into the future, can be detected all around us. But we live in the stars and we are finally moved by awe to our greatest adventures. The Kingdom of God is within us. Next ›Why this Sydney Opera House Book should exist.